Congratulations to all of the Cadillac V-Series class winners and to Chris Arellano for winning the overall "Top Gun" award. North Carolina resident Jeff Hagaman died in a single-vehicle accident while competing Saturday, September 22 at NOLA Motorsports Park in Avondale, Louisiana. The Nissan GTR flipped multiple times before it came to rest at 9:21 a.m. The cause of the crash has not been verified at this time but according to multiple sources, the contributing factor appears to have been the condition of the track in the braking/shutdown area immediately after the finish line. Normally these events are conducted on an airport runway and this was the first land speed event held at a closed circuit road racing venue. "On the morning of September 22, a professional motorsports company was holding its own private event at NOLA Motorsports Park. At approximately 9:21 am a vehicle was involved in a single vehicle incident which resulted in one fatality. Medical and rescue personnel were on the scene during the event and responded to the incident," stated NOLA CEO Francisco Christian. "NOLA Motorsports Park offers its deepest sympathies and condolences to the family of the driver. They will be in our thoughts and prayers." Jeff was 52 years old, was an experienced drag and land speed racer and was frequently racing at venues across the country. He is well known and respected among the racing community and owns Cadillac CTS-V Sedan which he also competed in at both drag racing and land speed events. His twin turbo Cadillac still holds the Half Mile record as the fastest CTS-V in the country at 212mph. Kyle Loftis of 1320 Video provided a tribute to the fallen racer and condolences to the family. He described Jeff as an entertainer with a unique care free attitude that didn't always make sense. He is a "street car" racing legend! "It's been a rough day in "our world" - I've been trying to process the roller coaster of emotions today after hearing of the loss of our friend Jeff Hagaman - Jeff was different than all the others we film at events, Jeff was an entertainer, Jeff had a unique care free attitude that didn't always make sense, Jeff is a street car racing legend. The face you see in these photos is a face that's been popping up in my head all day, remembering that smirk on his face as he pulled into a car show in his 1700hp CTSV, or after he made a super sketchy pass (but it was no big deal), or after he won 3 classes at SCT and broke the CTSV record... Jeff lived to race, and he was in heaven even before today because of the people he enjoyed racing with and helped him make his racing possible. I urge everyone that knew Jeff to help us all remember him for the awesome man he was and post any memories or photos of Jeff enjoying what he lived for in the comments. I also urge you to hold off on pointing the finger of blame with what happened until the facts are uncovered, so we can remember Jeff and not turn this horrible loss into a negative snowball of stress for his friends & family. I'm confident this will lead to some big changes in 1/2 mile event safety, and I look forward to hearing the positive change that comes from this accident. Race in Peace buddy." The WannaGoFast New Orleans 1/2 Mile Shootout was organized by Blake Hutchinson of wannaGOFAST as an opportunity for participants to "take their vehicle down NOLA Motorsports Park’s 5,300-foot straightaway and race side-by-side against the competitor of their choice. However, for any vehicle that was predicted to exceed 200mph the drivers were required to make "solo passes" down the track in their vehicle. Jeff was making a solo pass in his GTR because it was predicted his top speed would definitely exceed the 200 mph range. When Jeff entered the shutdown/braking area he lost control and his vehicle flipped multiple times. All competition was immediately halted and the race organizers and NOLA Motorsports Park made the decision to cancel the event for the week-end due to track safety concerns. The Cadillac V-Club would like to offer our prayers and condolences to the family and friends of Jeff Hagaman during their time of grief. We would also like to remind all drivers that despite continuous advancements in vehicle design and safety equipment, racing continues to be very dangerous and you can lose your life at any time without warning. When competing at any type of event, please always use as many safety precautions as possible when competing such as Snell SA2015 certified helmets with HANS devices, minimum of 6 point roll bars or full 10 point cages, SFI approved fire suits and fire proof gloves/shoes to mitigate your chances of injury if something goes wrong. Competitors in the following classes will receive a steel laser cut award plaque similar to the image shown above. Semi Stock Class: OEM as delivered from factory, no performance adders except for Cold Air Intakes (CAI), catback exhaust and a custom tune. No other modifications allowed and must have street tires or drag radials. V-Sport OEM "non-modified" V6 turbo vehicles should compete in this class. Any non-boosted Gen 1 CTS-V's and V-Sports should compete in this class. Top Gun Unlimited Class: Open to all Cadillac V-Series vehicles but at a minimum, includes all "Stock and Semi-Modified" classification specs plus one or more upgrades such as a forged LSA engine or any non LSA engine, Racing fuel, Ethanol, nitrous, twin turbos (excluding ATS-V), upgraded non-OEM supercharger. Heavyweight - Gary Coyne - 2013 Chevrolet Camaro ZL1 - 193.05 - ZL1 World Record! Stock Class: OEM as delivered from factory, no other performance adders except for Cold Air Intakes (CAI), catback exhaust and a custom tune. No other modifications allowed and must have street tires. No drag radials or road racing tires allowed. V-Sport OEM "non-modified" V6 turbo vehicles should compete in this class. Semi Modified Class: includes all "Pure Stock " classification specs plus one or more upgrades such as headers, upper/lower pulley upgrades, injector upgrades, meth injection, ZL1 supercharger lid upgrade, heat exchanger upgrade but no other performance adders. Pump gas only including E-85/Flex Fuel. Suspension mods and drag radials, slicks and road racing tires allowed. Any non-boosted Gen 1 CTS-V's should compete in this class regardless of fuel type. Pro Modified Class: includes all "Pure Stock and Semi-Modified" classification specs plus one or more upgrades such as cam, ported or upgraded heads, ported throttle body or 102mm throttle body, ported supercharger/snout, forged LSA engine, race gas (any fuel other than pump gas). Super Modified Class: includes all other class specs plus one or more upgrades such as nitrous, twin turbos, upgraded non-OEM supercharger or non LSA forged engine. Top Gun: Overall top speed champion regardless of modifications to your V-Series vehicle. Open to any V-Series owner and member of the Cadillac V-Club. The weather was almost perfect both Saturday and Sunday and there were over a thousand spectators on site at the event over the two-day wannaGOFAST Texas ½ Mile in Sulphur Springs, Texas. Blake Hutchinson and his wannaGOFAST team did an outstanding job logistically and with the overall management of the event. Our two top competitors for the week-end were V-Club member Brandon Barr who reset the 1/2 Mile world record for Cadillac V's with a pass of 185.18 mph and V-Club President Mike Franks who hit 183.97 mph. Brandon had recently reset the Texas Mile record by hitting a trap speed of 216.2 in Beeville Texas in October. Congratulations to both members for breaking last year's record of 182.3 mph set by V-Club member and sponsor Kurt Decker. Overall, the event was very successful. Cadillac Racing from Detroit brought down their exhibition trailer which included a 2017 ATS-V and CTS-V and also Johnny O’Connell’s ATS-VR race car. Both Johnny O’Connell and Michael Cooper attended the event, signed autographs and joined the V-Club for dinner at Bodacious BBQ on Saturday evening along with 95 other V-Club members and guests. The V-Club had 38 registered to compete in the event. Fastest Heavyweight - Krazy House Customs Billy Ray Motorsports LLC - Brandon Barr - Cadillac CTS-V - 185.18 MPH - CTS-V World Record! TOP SPEED: This honor goes to Cody Whitehead who went 224.4MPH in a ½ Mile in his 2011 Twin Turbo Lamborghini Gallardo. Cody was 1 of 5 participants who came out in their Lamborghini and he now has the title of Inagural 1/2 Mile Event Top Speed Record Holder. Congrats Cody! SW went 220.9MPH in his 2008 Twin Turbo Lamborghini Gallardo. SW takes the honor of fastest 1/4 mile speed at 178.0MPH. Congrats to SW! Stacy Barnett went 214.9MPH in his 2005 Twin Turbo Lamborghini Gallardo. Olivier Benloulou went 214.9MPH in his 2010 Naturally Aspirated Lamborghini Gallardo. This car was a site to see, it had a beautiful red chrome wrap on it! Check out the photos on Facebook. FASTEST MOTORCYCLE: Brian Trennepohl who went 198.4MPH on his 2007 Suzuki Hayabusa 1300 takes the honor of Fastest Motorcycle. This is now the speed to beat for motorcycles in 2015. FASTEST CORVETTE: A Z06 driven by Paul Cuthbert went 198.1MPH in the half mile. TRANS AM: Greg Davidson went 187.3MPH in his 1977 Pontiac Trans Am. This car was a real crowd pleaser and had a beautiful paint job. FASTEST PORSCHE: Todd Nall's top speed was 185.2MPH in his 2011 Porsche 911 Turbo. FASTEST CADILLAC: The fastest Cadillac of the weekend was driven by Mike Franks. 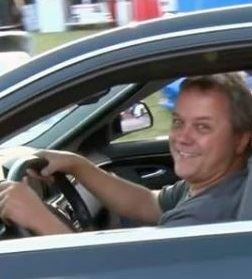 He went 175.8MPH in his 2011 Cadillac CTS-V. Mike Franks is the president of the Texas V-Club and also attends The Texas Mile events each year. 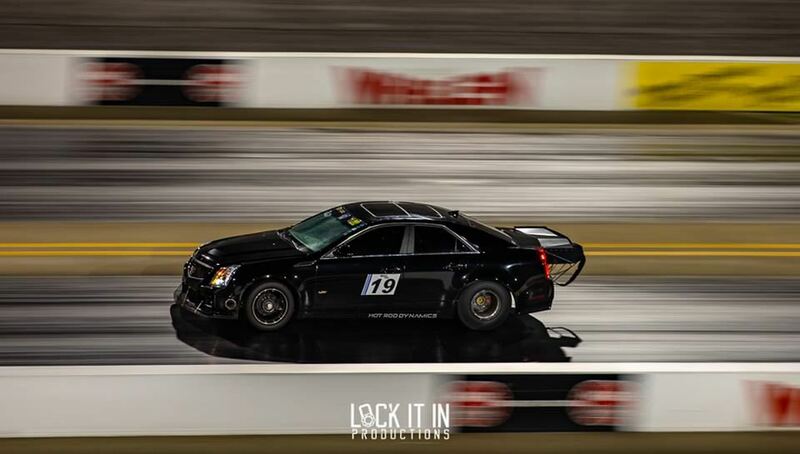 Congrats to Mike for having the first official Cadillac CTS-V record at the U.S. 1/2 Mile Event. AEROS & AUTOS: The Aeros & Autos Show had 307 registered cars and there were over 4,035 spectators that came through the gate. It was a record breaking event and they raised a lot of money for charity.